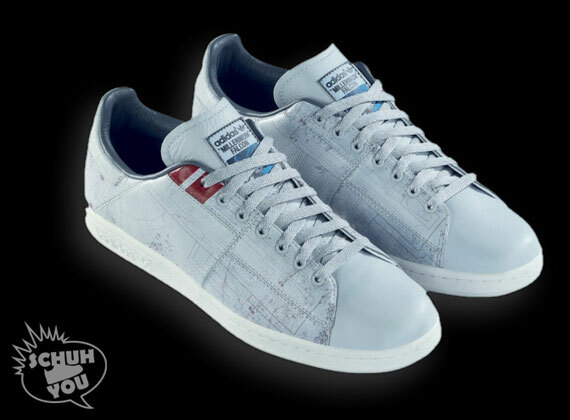 The adidas Stan Smith, named after a successful American tennis player of the same name, stands as one of the best-selling pairs of tennis shoes in history. The cultural relevance and history behind the shoe are both central bases of the success of the adidas Stan Smith, which employs a simple and almost unassuming design. The Millennium Falcon, Hans Solo’s starship, can be considered with equal thought; while it has its humble origins (Hans Solo won the ship in the Could City Sabacc Tournament despite it not being an actual prize), the Millennium Falcon was involved in some of the most historic battles and events in the Star Wars saga. 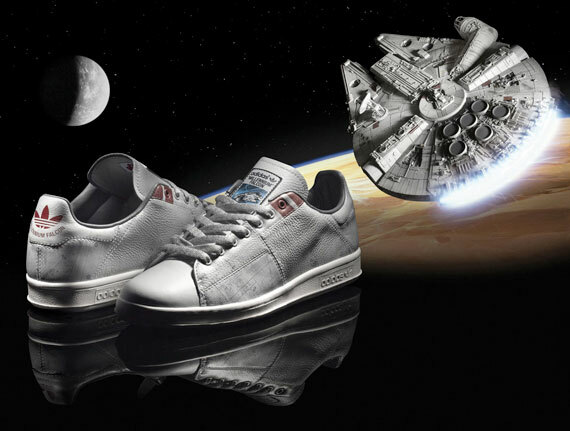 The design of this Star Wars x adidas collaboration is placed to match the dilapidated exterior of the Millennium Falcon. These are available now at Schuh-You.